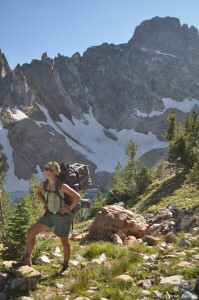 This week’s BEACON Researchers at Work blog post is by University of Idaho graduate student Hannah Marx. “I love my job.” – written by me, at 12,009 feet in the summit log on Hyndman Peak, Pioneer Mountains, Idaho. Although I never thought that I would grow up to be a scientist, it is clear looking back that I have always been a naturalist at heart—boxes of rocks, various types of seed pods, shells, leaves, and fossils that I began collecting and identifying as early as I can remember attest to that. Now, I feel incredibly fortunate that I have found a career in which I can combine work with my personal passion for exploring alpine regions and attempt to shed light on questions that have sparked human curiosity for ages. I suspect the most used word in ecology and evolution would be “diversity”. It seems that biologists have some universal fascination for understanding why some groups of organisms or particular places are more or less diverse than others. I am no exception to this rule. My research aims to explore processes that drive the patterns of biodiversity that we observe in nature. I am especially interested in questions that relate ecological processes to the evolution of species and communities, typically at macro-scales and taking advantage of the vast amount of datasets that are publicly available. Since Darwin began writing about his travels in the Galapagos, islands have been of particular interest to evolutionary biologists, resulting in the description of many testable hypotheses of community assembly in natural systems (e.g. MacArthur and Wilson 1967). Most broadly defined, an island can be described as “a self-contained region whose species originate entirely by immigration from outside” (Rosenzweig 1995). Although traditionally considered to be landmasses surrounded by bodies of water, islands can also be viewed as habitats that are isolated from the surrounding ecosystems due to extreme climates, edaphic factors, or any other isolating mechanisms. Alpine ecosystems are often thought of as ‘sky islands’, isolated from the lowlands by an altitudinal gradient. Harsh climates that characterize this ecosystem drive the evolution of novel traits to cope with pressures from ultraviolet radiation, extreme cold, drought, and short growing seasons (Körner 2003). These two types of island systems share similar geographic characteristics that have made them attractive study sites—manageable in size and separated from the mainland at a known geologic date, they are ideal systems for understanding questions such as the forces driving speciation, diversification dynamics, and ecological composition. However, they differ in other characteristics, notably the number and distribution of invasive species. Ranges of invasive species are increasing—especially on islands (Pyšek and Richardson 2006) and in alpine communities (Pauchard et al. 2009)—and in the face of accelerating global change it is of economic importance to predict which species are most likely to become invasive and their potential for future spread and impact. However, due to the severity of harsh and variable environments in alpine communities, most introduced species reach their distributional limits in sub-alpine and alpine zones (Becker et al., 2005). Combined with their remote location, invasion in alpine “islands” is much less common than in oceanic and continental islands. Modern species introductions are an important process to study not only for their economic and conservation concerns, but also, when considered as recent colonizers in an ecological community, invaders can be used to understand the processes of community assembly in nature (Tilman 2004). The objective of my PhD dissertation is to provide insight into generalizable processes that produce biodiversity by comparing patterns of diversity and species invasions between highly invaded oceanic islands and relatively ‘pristine’ alpine plant communities. Typically in a comparative research approach such as this, we observe patterns in nature and then form hypotheses about the processes that generated them. I take a similar approach, beginning by describing and summarizing patterns of diversity in natural systems, and then using these patterns to test classic hypotheses of community assembly. In oceanic and continental islands, we often have a much better understanding of the flora and I am able to gather occurrence data from publicly available sources for my studies. This was the case for my first graduate research project, which dissected patterns of community assembly in the San Juan Islands of Washington State. I compared phylogenetic and functional diversity (measured by ecologically relevant functional traits) between invasive and native species on uninhabited islands within the continental archipelago, and used this ‘ecophylogenetic’ approach to deconstruct Darwin’s Naturalization Hypothesis in the San Juan Islands. Due to their remote nature, basic aspects of many alpine habitats are poorly understood. This is especially true for the alpine habitats in Idaho, where we have a very poor understanding of the species that occur above treeline. Therefore, I get to combine my research interests with one of my favorite personal interests—alpinism. 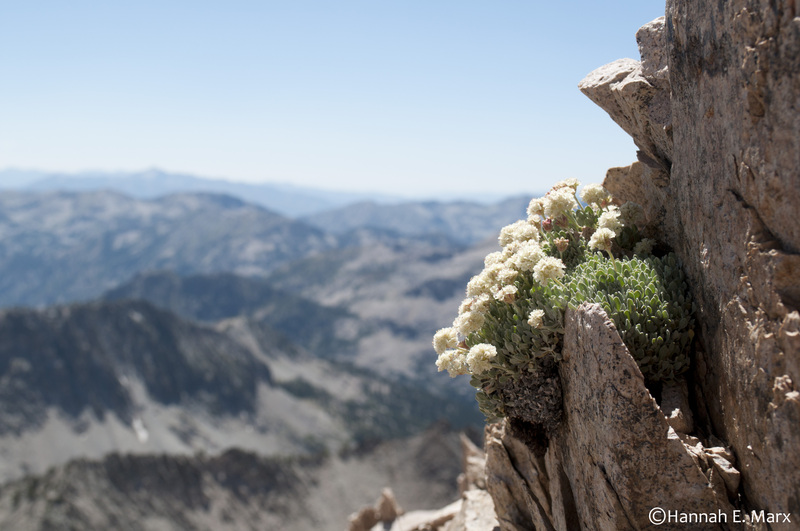 Over the last few summers I have been climbing peaks across the Sawtooth National Forest in central Idaho, surveying the plants that occur from the summit down to treeline. I also collect leaf tissue that will be used in molecular studies to summarize the genetic diversity in these remote and unique ecosystems. 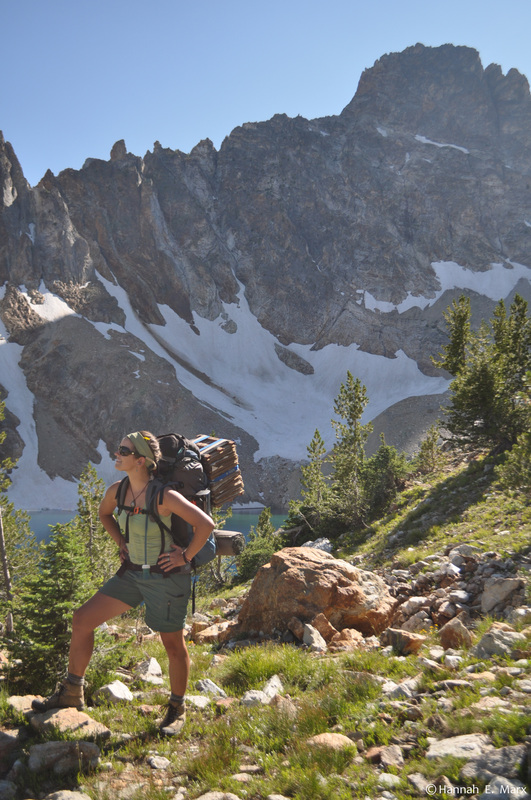 Much of this work has involved multi-day excursions into some of the most remote areas of the continental United States with the help of the Sawtooth Mountain Guides and other graduate student volunteers, without whom these collections would not be possible. From these important collections, I will follow a similar approach as I did with the San Juan Islands to summarize phylogenetic and functional diversity, and compare dominant diversity dynamics between the two island systems. 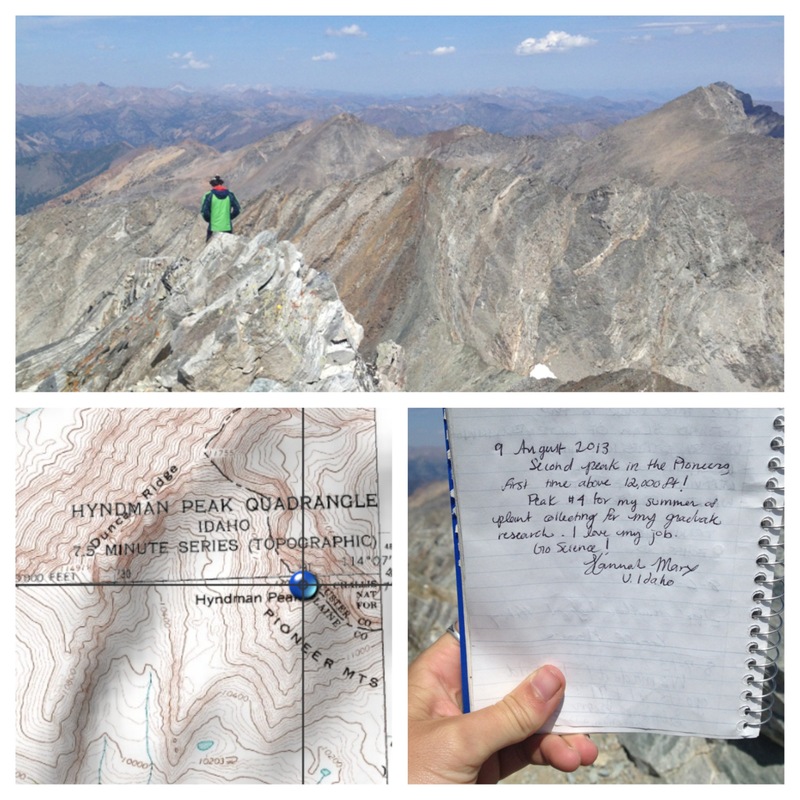 I am grateful that I have found a way to combine research with my passion for alpine adventures. Hopefully though this synchronous lifestyle and comparative framework, I will contribute something to our understanding of the processes that generate assemblages of plants on islands, and hope to clean up the “mess” that is community ecology. Becker T., Dietz H., Billeter R., Buschmann H., Edwards P.J. 2005. Altitudinal distribution of alien plant species in the Swiss Alps. Perspectives in Plant Ecology, Evolution and Systematics. 7:173–183. Körner C. 2003. Alpine plant life : functional plant ecology of high mountain ecosystems. Berlin; New York: Springer. MacArthur R.H., Wilson E.O. 1967. The theory of island biogeography. Princeton, N.J.: Princeton University Press. Pauchard A., Kueffer C., Dietz H., Daehler C.C., Alexander J., Edwards P.J., Arévalo J.R., Cavieres L.A., Guisan A., Haider S., Jakobs G., McDougall K., Millar C.I., Naylor B.J., Parks C.G., Rew L.J., Seipel T. 2009. Ain’t no mountain high enough: plant invasions reaching new elevations. Frontiers in Ecology and the Environment. 7:479–486. Pyšek P., Richardson D.M. 2006. The biogeography of naturalization in alien plants. Journal of Biogeography. 33:2040–2050. Rosenzweig, M.L. 1995. Species Diversity in Space and Time. Cambridge: Cambridge University Press. Tilman D. 2004. Niche tradeoffs, neutrality, and community structure: a stochastic theory of resource competition, invasion, and community assembly. Proceedings of the National Academy of Sciences of the United States of America. 101:10854-10861. For more information about Hannah’s work, you can contact her at h dot marx dot h at gmail dot com. This entry was posted in BEACON Researchers at Work and tagged alpine, BEACON Researchers at Work, biodiversity, community ecology, ecology, evolution, Field Biology, plant biology. Bookmark the permalink.